As most Strata-gee readers know, I’ve been following Foxconn closely for some time now. As one of Apple’s largest suppliers of its most important product – the iPhone – as well as several other products such as iPads, Mac computers and more, Foxconn can be a great indicator of how Apple, one of the largest technology companies in America, is doing. As goes Foxconn, so goes Apple. 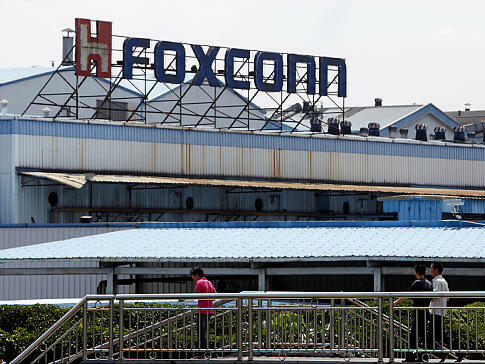 Foxconn, the better known subsidiary of Hon Hai Precision Industry Co., is run by CEO Terry Gou. Gou, is an unusual Taiwanese entrepreneurial executive said to be both brutal and savvy. I would add to that assessment, politically astute as well, as I watched him out-maneuver strong and connected sources in Japan who sought to torpedo his effort to buy Japan’s Sharp Electronics. Gou won that battle against all odds, including no less a force than the Japanese government coming out as against Foxconn’s acquisition of Sharp. However, I became highly suspicious when Foxconn approached interests in the United States about potentially locating a factory here. The company had never, to this point, expressed such as interest. But the timing of his approach – in the wake of Donald Trump’s successful bid to become President – seemed quite suspicious. Trump at that time was making many promises about fueling growth by growing manufacturing jobs here in the United States. All of a sudden, Foxconn wants to talk to the U.S. about putting a factory here manufacturing LCD TVs. Ultimately settling on Wisconsin, whose Governor, Scott Walker, was facing a tough re-election bid, Foxconn – as I previously reported – secured the largest package of tax incentives ever offered to a foreign firm…a package worth $4 billion. See my article Foxconn’s Double Dose of Bad News for some of this background. Foxconn promised to invest $10 billion and to hire 13,000 people for good, well-paying manufacturing jobs. Even so, the large package of incentives that Walker and Trump offered Foxconn was immediately controversial, essentially striking some as gambling with taxpayer’s money on a project that seemed…well, optimistic at best. Walker then lost his battle to remain governor, losing out to Democrat Tony Evers, who immediately put the plan under scrutiny. Some political analysts suggest the unpopularity of the rich package Walker offered Foxconn was one of the reasons he lost the election. In any event, there were already signs this deal between the State and Foxconn was in trouble. Interestingly, local media in Wisconsin was reporting that Foxconn was already not living up to the deal they had negotiated. 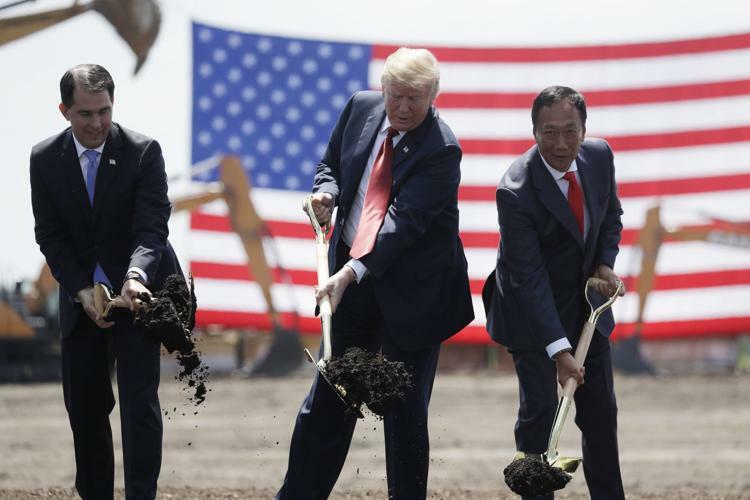 According to a report by the Milwaukee Journal Sentinel, Foxconn had only hired 178 of the 13,000 promised. According to the deal, the initial Year 1 employment goal was at least 1,040 people, with a minimum requirement of at least 260…but Foxconn missed even that lower minimum required hiring. And in so missing this target, the company lost the rights to the first $9.5 million in tax credits. Now we learn that Foxconn is reconsidering the whole idea as originally conceived. Originally, the company was to build a plant to manufacture LCD TVs that would employ approximately 13,000 blue-collar manufacturing jobs – a good match for the available Wisconsin workforce. 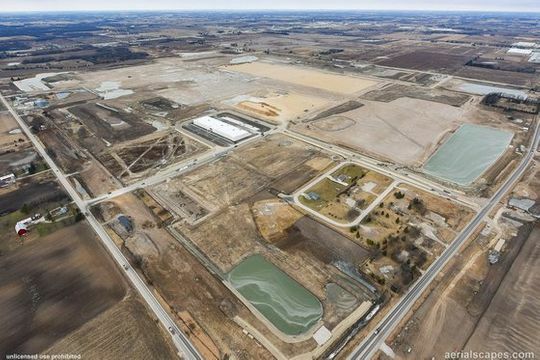 Foxconn now says it is considering changing the whole project to instead create a research center. The company has said that, even with this change, it will still hire 13,000 people to meet their commitment to the state. But the news of this project change has set off a firestorm. Why? If this project is in fact switched from a manufacturing plant, to a research center, this dramatically changes the scope of make-up of required employee skill-sets. Those 13,000 jobs will now be required to be highly trained and skilled researchers and scientists…not 13,000 blue-collar manufacturing workers. Not only is this dramatically different than originally conceived, but one of the reasons for the government’s generous tax credit offer was that it presented proof of Trump’s ability to revive American manufacturing. In fact, the company will likely be forced to import scientists and engineers to Wisconsin to fill out the employment commitment…not hire local Wisconsin manufacturing workers as promised. Company Now Says It’s Too Expensive to Build TVs in U.S.
Foxconn was reported to have said that the global situation regarding the situation in the U.S. has changed since this deal was originally conceived. But this doesn’t make any sense…this deal was made in 2017, not even two years ago. The fact is, labor costs in the U.S. were high then, as they are now and Foxconn must have know that…everybody else did. That was one of the reasons that people said the whole deal didn’t make any sense from the beginning. That rationale just doesn’t pass the smell test. 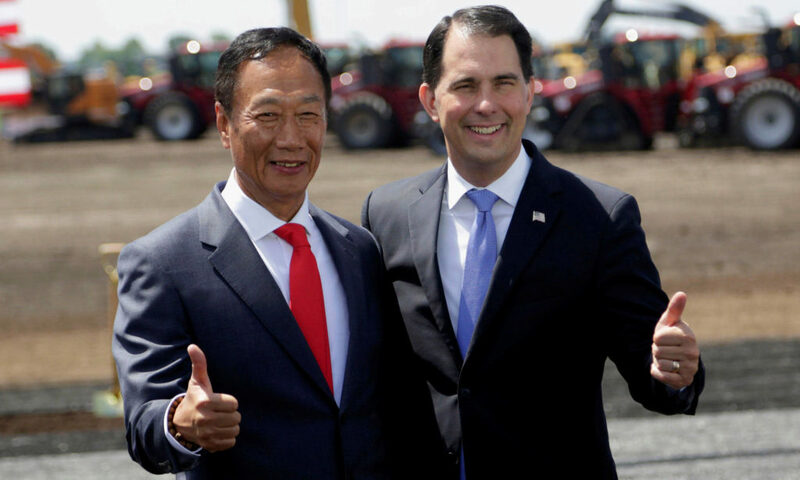 Some are suggesting that Gou attempted to use the political posturing of Walker and Trump to score a valuable tax concession for Foxconn’s benefit – perhaps never really ever planning to deliver on their promises. 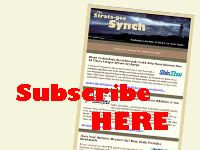 From all indicators, this previously fast-moving deal seems to have run into the ditch. But it just doesn’t pass the smell test. When the deal was first announced, I wondered how they were going to produce LCD TVs in the United States and compete with those sets coming out of Korea or China with their much lower cost structure. It didn’t make sense then…and Foxconn’s “new” discovery that U.S. labor is too expensive to use for this purpose doesn’t make sense now. In a separate report by the Nikkei, Foxconn has also pulled back from an announced project to build an LCD TV manufacturing plant in China. That was a $9 billion commitment to the city of Guangzhou that has now been put on hold, or suspended, pending further review by the company. That’s two deals – one in China and one in the U.S. that Foxconn has unilaterally pulled back from. All of this seems fishy and more oriented towards Foxconn’s problems, rather than project problems.